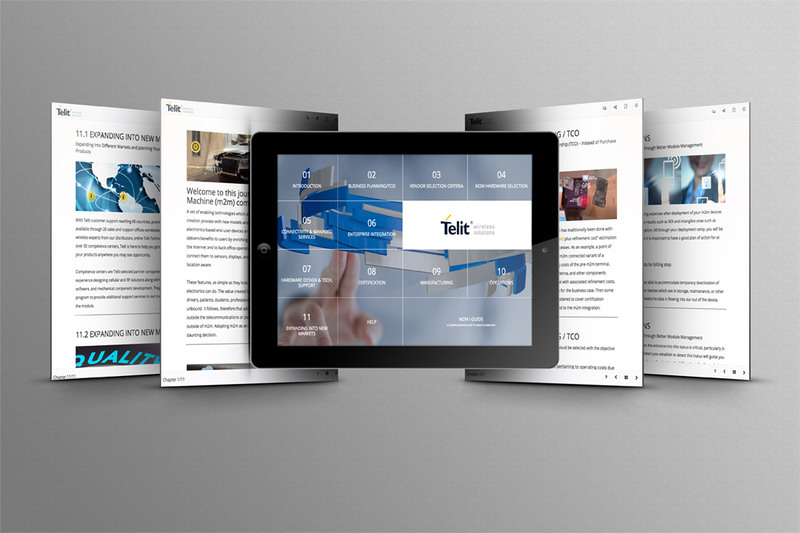 For Telit, we designed a fluid HTML5 responsive microsite with various features. Our customer Telit needed an application that explains the product in every detail with an easy to use interface. So we decided on a responsive tiled design that leads the user directly to the specific sub-pages. In accordance with the customer, we optimized the page for mobile use. The image on the main page captures the POS touch terminal enabled technology and adds a modern, innovative look. With dynamic content integration and enhanced social sharing capabilities, the design and technology fulfills the customer’s needs. Telit provides technological solutions for the Internet of Things. Telit’s m2m products enable devices to communicate over wireless networks and integrate these devices to cloud systems, big data or enterprise systems.